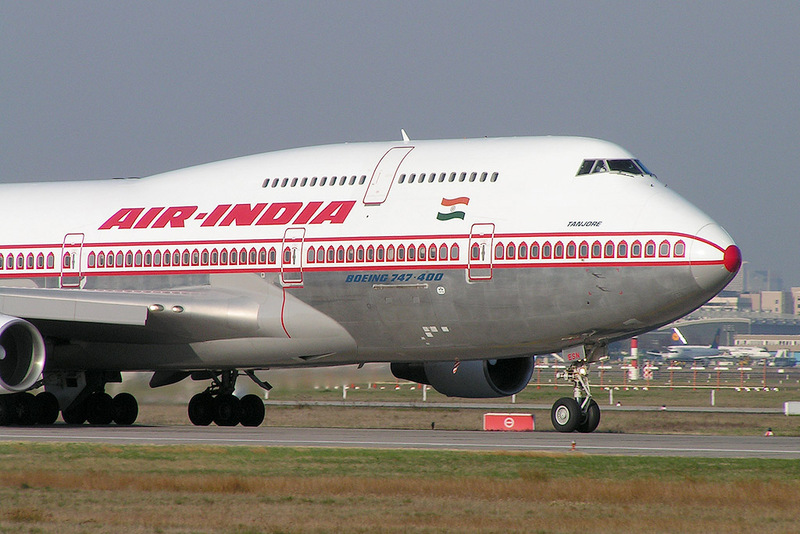 Air India has anounced that due to extremely poor load factors being witnessed on board its new nonstop BOM-JFK flights, it is reducing fares on this sector by nearly 30% to bring it in line with its other flights bound for JFK & EWR via LHR & CDG respectively. Currently AI was charging USD 1300 + taxes for the nonstop flight and has now brought it down to USD 950 + taxes which it hopes will help improve loads. AI have no one but themselves to blame for this fiasco. They announced this new flight only a month before it was going to be launched and uploaded it on to the GDS reservation systems in late June thus not giving enough advance time for travel agents in USA and India to help fill the flight. Usually airlines give 3-5 months notice to travel agents if a new flight is being launched to help get advance bookings. AIs inaugural BOM-JFK flight only carried 80 passengers when the capacity is 238. Also many people would never pay an extra USD 350 just to fly nonstop in economy class from JFK to BOM compared to flying one stop via EU/UK/DXB/AUH. Yes, they would pay an extra USD 100-150 max but not $ 350! On Friday, DL and CO came up with even better prices of USD 650 + taxes as an introductory offer for their new EWR/JFK-BOM flights which will commence from this October onwards. AI plans on launching another nonstop to JFK from DEL in January 2008 which would probably see the end of AI 101-102 which flies BOM-DEL-LHR-JFK. By having 3 daily flights from India to the NYC market (2 to JFK and 1 to EWR), I feel that is a bit too excessive for an airline of AI's calibre. I rather see them launch new long haul flights from India to niche markets in USA such as DEL-IAD nonstop with the B 77L and BOM-MAN-IAH with the B 773ER in 2008-09. IAD-Washington DC is in desperate need for a direct same plane service to India as there is a large NRI population residing in the BWI / IAD geographical area + Carolina's + high yield traffic potential due to both IAD and DEL being the political capital cities of India and USA respectively. In addition, there is also high yielding I-T traffic on this route that can be effectively tapped. My reasons for wanting AI to fly to IAH from BOM via MAN are varied. To begin with, no airline flies nonstop to BOM, let alone India from MAN where approximately over 300,000 plus NRI's reside and even a greater number in nearby areas of Leeds, Blackpool, Sheffield, East Midlands etc. The same can be said of IAH-Houston where approximately 200,000+ Indians too reside in the Houston/San Antonio area where also an Indian Consulate is situated. From IAH too, no airline provides a direct or same plane one stop service to India via Europe. With the astronomical growth of the Indian middle and upper class both in India and USA, more and more of them are paying a premium to fly airlines that either offer nonstop or one stop/same plane service from their originating city to India and vice versa. These NRI's are paying premium because of the increase of their spare disposable incomes. In short, both markets i.e. MAN and IAH will see a lot of O&D traffic bound for BOM and other points in India. On the MAN-IAH-MAN route, AI has 5th freedom traffic rights for passenger and cargo. No airline flies this trans-atlantic route nonstop which is in AI's favor. In IAH too, AI can tap into the wealthy NRI community residing there plus the high yielding premium oil /gas / energy / I-T traffic. YVR - capacity increased from daily B 767 to daily A 332. LHR - capacity increased from daily A 343 to 5 weekly A 343 + 2 weekly B 747-400s. CDG - capacity increased from Dec 9th to daily nonstop B 744 from PEK. However from PVG, flights to CDG are reduced from 3 to 2 weekly A 343s. DXB - increased from 3 to 4 weekly nonstop B 762ERs. DEL - increased from 3 to 4 weekly B 762ERs. BKK - increased from daily B 752s from PEK to daily B 752 + daily B 738. JFK / LAX & SFO - all 3 U.S. cities maintain a daily nonstop B 744 flight from PEK. FRA - daily A 332 + daily B 744 all nonstop from PEK. BLR - capacity increased to daily B 744 from daily B 772ER. BOS - reduced to triple daily B 772ER from daily B 744 + double daily B 772ER. CPT - increased from daily B 744 to double daily B 744. DEL - capacity increased from double daily B 772ER to double daily B 744s. DXB - capacity reduced to double daily B 772ERs from daily B 744 + daily B 772ER. GRU - increased from daily B 744 to 10 weekly B 744s. HKG - triple daily B 744s nonstop from LHR remain. ISB - increased from 3 weekly B 744s to 6 weekly B 772ERs. From April 2008, it is expected to be further increased to 6 weekly B 744s. IAD - reduced from triple daily to double daily flights i.e. daily B 744 + daily B 772ER. MEX - reduced from 4 to 3 weekly B 744s. SEA - capacity reduced to 5 weekly B 744s + 5 weekly B 772ERs. YVR - reduced from 13 weekly B 744s to daily B 744. YYC - reduced from 6 to 5 weekly B 772ERs. The capacity increase to BLR is significant as its been done largely due to the high number of F & J class pax flying on BA to BLR from UK and North America. In order to cater for this surge in demand, BA made the wise move by deploying the larger B 744 to this route in the winter season as it has many more seats in F & J class cabins compared to the B 772ERs. 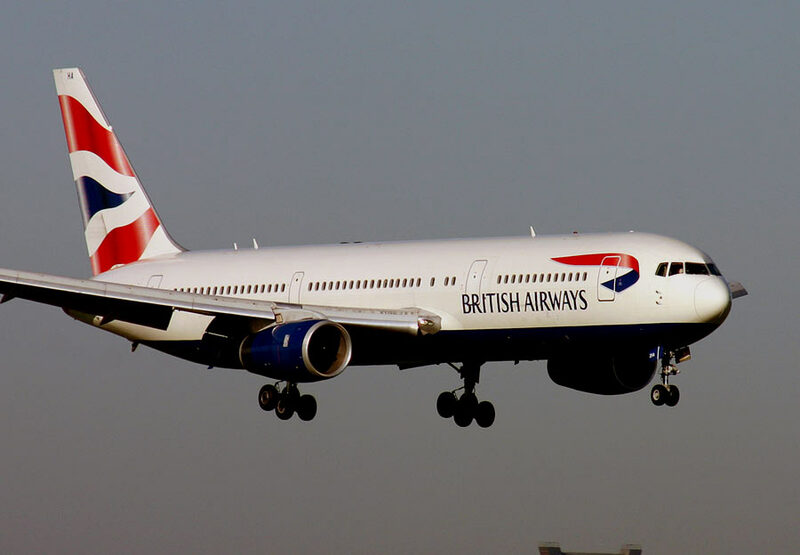 This would make the route even more higher yielding and profitable for BA during the upcoming winter season. One fails to gather why 9W chose to fly from AMD & ATQ to LHR before BLR. Emirates has officially released details of its second daily flight to Shanghai flown nonstop from Dubai. This new flight will see an A 343 used 6 times a week and an A 332 used once a week in addition to the already existing daily B 773ER nonstop service. Various media outlets are reporting that Boeing is close to finalizing a deal with Emirates for 20 Boeing 747-800s (passenger version) and an announcement concerning this is expected to be made in November during the Dubai Air Show. EK already has 10 B 748 freighters on order with Boeing. The only other airline to have ordered the B 748 passenger version is Lufthansa who ordered 20 of the type this spring. 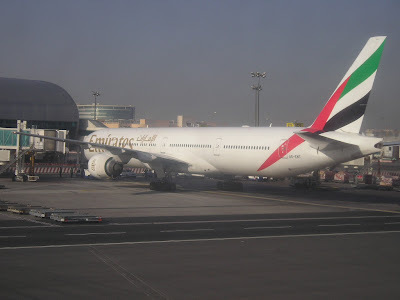 In the past, EK had already indicated for its preference of using this aircraft initially for daily nonstop DXB-LAX flights as it felt it could fill up a 400 seater B 748 easily on this route year round. If the order goes ahead, other cities likely to receive the B 748 nonstop from DXB in the future include ORD, JFK, JNB & MEL. ISB - to be increased from 3 to 4 weekly flights effective Jan 23rd 2008, all using an AB6. LHE - increased from 5 weekly to daily nonstop using an AB6. KHI - 4 weekly terminator flights to replace BKK-KHI-MCT. All 4 flights will be flown using an A 333. This will take effect from Oct 27th onwards. 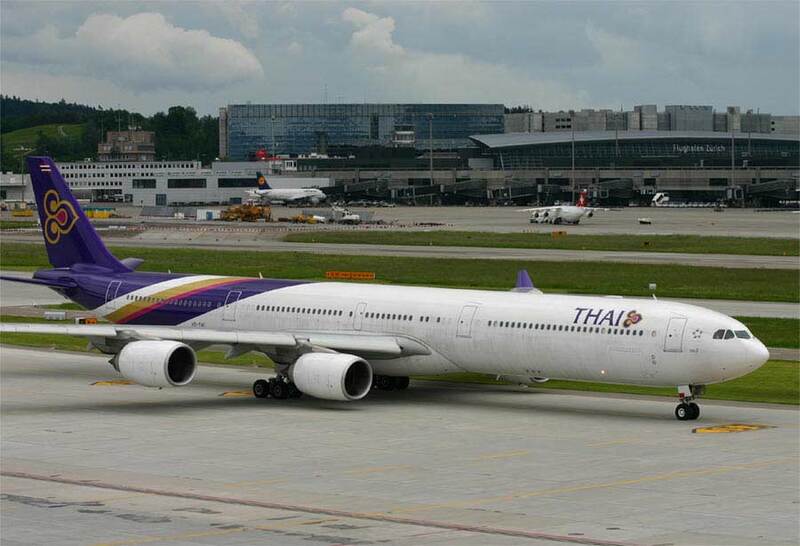 MCT - 3 weekly dedicated terminator flights flown nonstop from BKK using an A 333. MUC - capacity increased from daily nonstop A 346s to 3 weekly B 744s + 4 weekly A 346s from BKK. PER - capacity increased from 5 weekly A 333s to 5 weekly B 773s. DME - increased from 3 to 4 weekly flights all using a B 772ER. CMB - capacity reduced from 2 weekly A 333 + weekly AB6 to 3 weekly AB6s. KTM - daily B 772As. DAC - capacity increased from daily AB6 to 3 weekly A 333 + 3 weekly AB6 + weekly B 772A. SGN - increased from 16 to 17 times a week frequency all using an AB6. CGK - capacity increased from 6 weekly AB6 + weekly A 333 to 3 weekly A 333 + 4 weekly AB6. ICN - increased to 19 weekly flights i.e. 5 weekly B 773A + daily A 333 + daily B 772A. CDG / ARN & CPH - all 3 cities maintain daily nonstop B 744 service. FCO - 4 weekly nonstop B 744 service. MXP - 4 weekly nonstop B 772ER service. MAD - 3 weekly B 744s nonstop from BKK. LHR & FRA - both cities maintain double daily B 744 service. ZRH - from January 08, capacity is increased from daily A 346 to 2 weekly B 744s + 5 weekly A 346s. ATH - capacity reduced from 3 weekly B 773s to 3 weekly B 772ERs. Cathay Pacific has announced that it will be increasing its Karachi flights from October 2007 onwards by adding a 4th weekly frequency to the city. As far as my views go on this decision taken by CX, I feel its an excellent move by them as they have consistently witnessed more than 70% load factors on an annual basis on their KHI flights for a few years now. Their next move in Pakistan should be to launch 3 weekly HKG-ISB nonstop flights with the A 333 as from ISB, there is a decent O&D and 6th freedom market to capture on this route. Now some of you might say why ISB-HKG nonstop with a large 300 seater A 333 and not be safe and fly HKG-BKK-ISB or why not fly HKG-LHE / HKG-BKK-LHE. My reasons are for wanting a HKG-ISB nonstop are varied. TG & PIA already fly from ISB to BKK a combined 6 times a week hence there is enough capacity in this market segment but by flying HKG-ISB nonstop, CX would have a nice niche market to itself. ISB is also good for cargo as they have the potential of being over 80% on each flight as ISB is closely located to the industrial cities of Sialkot, Lahore & Gujranwalla. There is massive export/import of computers, electronics, pharmaceuticals, garments and agricultural related products/machinery conducted between this region and HKG, TPE, Japan, ICN and China which CX Cargo would obviously target and gain. By providing cargo agents with a one stop option from their home country via HKG to ISB and vice versa, the CX Cargo product would prove to be an attractive option giving TG Cargo a good run for their money on this sector. But CX would have a big advantage over TG here as the latter flies an old AB6 on the ISB-BKK route (3 times a week) and this aircraft can only carry 8 tonnes of cargo max per flight where as CX's A 333s can easily take 12-14 depending on the passenger payload. Apart from cargo, my main reason for wanting a HKG-ISB nonstop flight is because I believe that the J class cabin of this flight can easily witness 75% loads on an annual basis. The logic being is that there is a large amount of J class traffic bound westwards from ISB destined for PEK, PVG, NGO, NRT, TPE, LAX, SYD, MEL, KIX, CAN, HKG & ICN which CX can easily tap into and get as their on board J class product on any wide bodied aircraft is far superior to TG's. By offering a convenient, hassle free ONE STOP flight from these Asian / U.S / Aussie markets via the HKG hub to ISB, it will be a hit with the diplomats, politicians and businessmen who usually fly business class. Therefore if your J class is 75% full year round + cargo is 80% full year round along side a 60% load factor in economy, the flight can still be profitable as the high yield generated from the J class traffic & cargo, I feel is more than enough to compensate for the 60% load factor in Economy which is lower yielding! One mustn't forget that ISB is now slowly becoming the Pakistani head quarter city for many multinational companies due to its calm security and good law & order reputation with the international community. To ICN, NGO & NRT, CX can get the corporate contracts of the big car, electronics & film/photo companies who have a large presence in Pakistan such as Toyota, Hyundai, Daewoo, Samsung, Sony, Toshiba, Nissan, Suzuki, Fuji, Agfa & Kodak. From China and Japan, ISB can too be targeted as a tourist destination i.e. gateway to the Himalayas & Kashmir as many Chinese and Japanese people love to go mountain hiking as is evident by their large presence in the Kathmandu tourist market. Lastly, many congratulations to the CX KHI staff for making this possible as it is due to their combined hard work and dedication that this additional flight came about. FYI, I interned at the CX KHI office for 3 summers (2002-03-04) and thoroughly enjoyed my experience there.